Major Yacht Services can take care of your freight receiving & forwarding needs worldwide. From forwarding urgent engineering parts to yachts travelling remotely, to ensuring your superyachts chase tender is adequately loaded, secured and delivered. 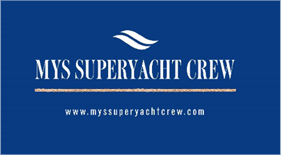 Here at MYS we understand the difficulties for travelling superyachts to receive mail and important packages. As a courtesy to MYS clients we will happily receive and hold yacht parcels and mail, absolutely free of charge. We will notify you by email or phone minutes after your packages arrive and hold in a secure location until you are available to arrange pickup. Alternatively, at a cost, we can arrange for your mail to be forwarded on to your current or next location, ready for your arrival. We hold strong relationships and trade accounts with proven marine customs brokers who understand the handling of superyacht cargo. Don’t get charged unnecessary import duties and taxes, let MYS take the hassle out of delivery by allowing us to take care of the clearance for you. Why choose MYS to assist your custom clearances? Clear goods under our trade export account with Australian Customs. Advise on temporary imports and exports.